Matron is looking after my Sister's three chickens for a couple of weeks. These three young ladies were purchased as 'point of lay' chickens just a few weeks ago. May I introduce Chicken Supreme, Chicken Kiev and Coronation Chicken! 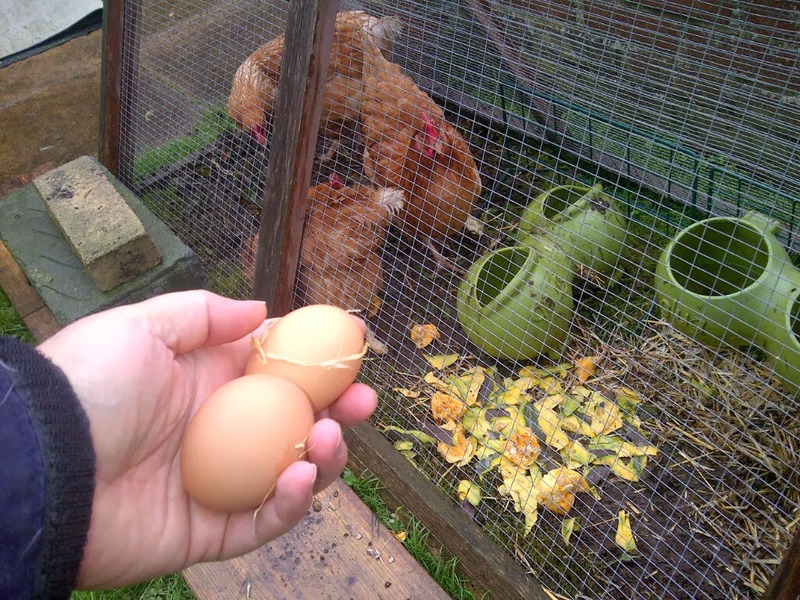 Two of the girls have been laying eggs for some time now. So every morning we have had two fresh eggs .. until this morning! 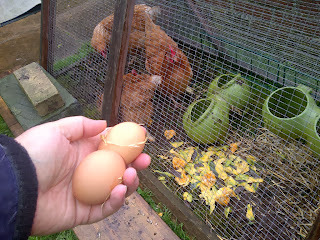 All three chickens now laying eggs. These lovely ladies are hybrid hens 'Bovans Goldline' beautifully calm and friendly and easy to keep.